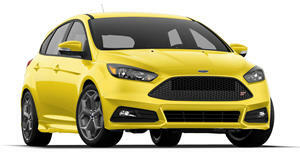 Ford is bringing their Fiesta ST Concept to the 2011 Los Angeles Auto Show along with the recently released Focus ST. 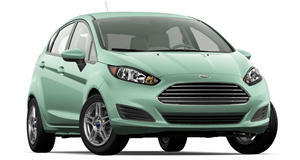 The Ford Fiesta ST Concept is set to make its premier appearance at the 2011 Los Angeles Auto Show. The Fiesta ST is set for release in Europe shortly, which will feature a 180hp 1.6-liter EcoBoost engine. Ford wants to gauge the level of American interest in the hot hatch and from the looks of it, it shouldn&apos;t be too much of a stretch. Ford&apos;s new 1.6-liter EcoBoost inline 4-cylinder engine will also be equipped on the concept just like its European counterpart, putting out a solid 180hp and 177lb-ft of torque. The Ford Fiesta ST Concept will be joined by the Focus ST at the premier auto event of LA. Ford director of Global Performance Vehicles Jost Capito talked about both models in the American automaker&apos;s press release, saying "With the Focus ST we promised to deliver uncompromised sports performance and styling to a truly global audience for the first time, without sacrificing Ford&apos;s key values of Quality, Green, Safe and Smart." Capito continued, saying "With the Fiesta ST Concept, we are demonstrating that our global performance plan has legs." The Los Angeles Auto Show runs from November 18-27th. You can catch the Focus and Fiesta ST editions featured at Ford&apos;s booth. Capito finished, saying "The Fiesta ST Concept shows in the most dramatic way possible that the qualities that define an ST are not limited to one model. The potential for delivering the ST experience to an even wider audience is laid bare by this exciting new concept."